Dunes are just so amazingly beautiful. I’ll never get over how nature can sculpt such regular patterns into endlessly overlapping structures. 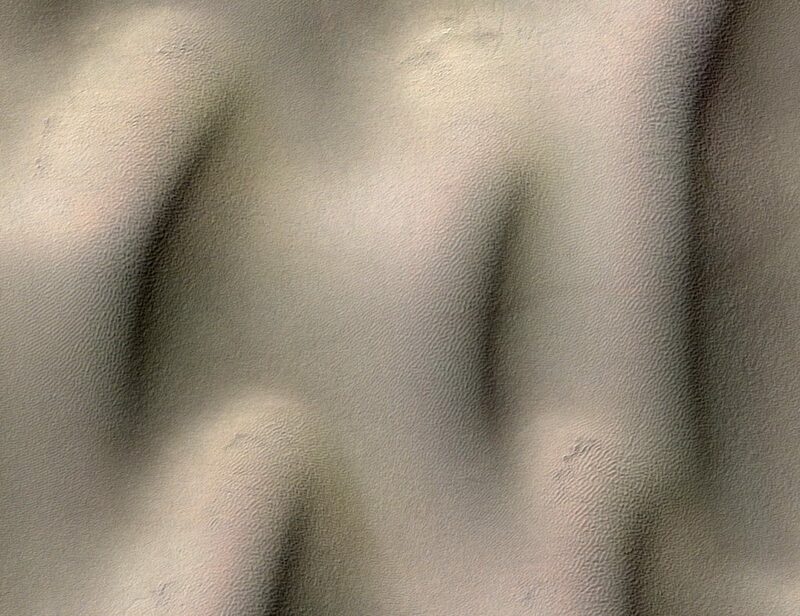 Here’s a small bit of a dune field trapped up high between mountains in the middle of Coprates Chasma. Here I’m not focusing on their setting, but rather the intricate structures of the dunes themselves. 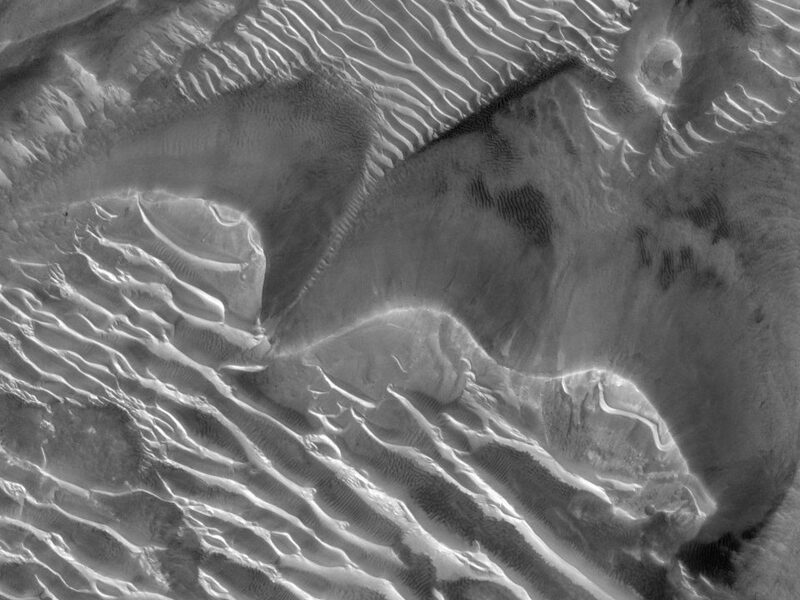 The dunes are formed by wind funneling down a narrow valley, headed towards the floor of the much bigger chasma (to the left, far offstage). Here we are in the midst of a dune field, looking at a rippled sandy surface that piles into dunes. The dunes avalanche downwind, slowly advancing forward (mainly toward the left here), as successive avalanches carry more sand down the slip faces. Ripples cover every surface they can – the wind seems to like to make them. They’ll even form on slip faces, only to be erased later by avalanches (grainflows). 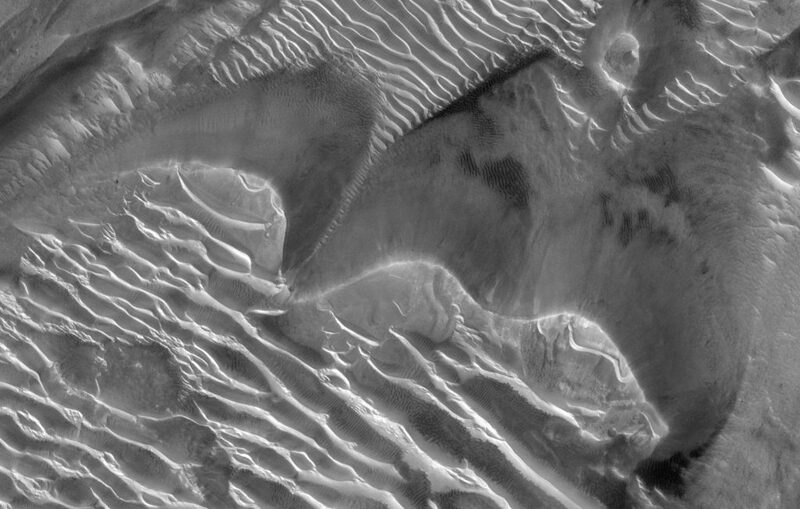 A bit of an active dune field, view is 0.75×0.75 km (0.47×0.47 mi). Click on it to open the full resolution view. 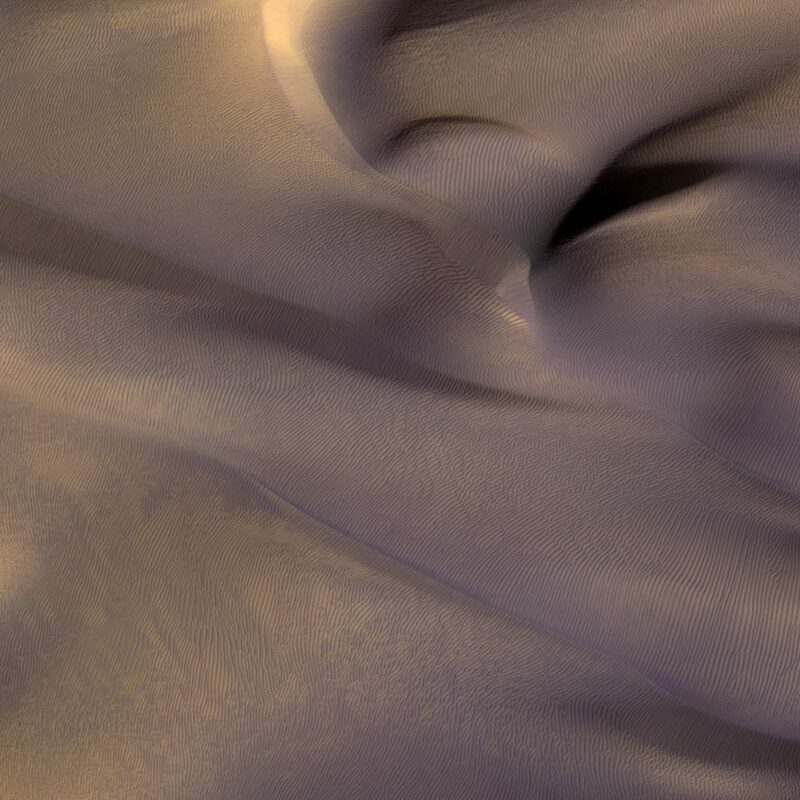 Really there are two winds operating on these dunes, which adds some complexity to what we see. There’s a down-valley wind blowing from right to left (east to west), and that’s responsible for making the slip faces that face toward the left. But some of the dune crests suggest there’s also a wind blowing from the top to the bottom of the view (north to south). 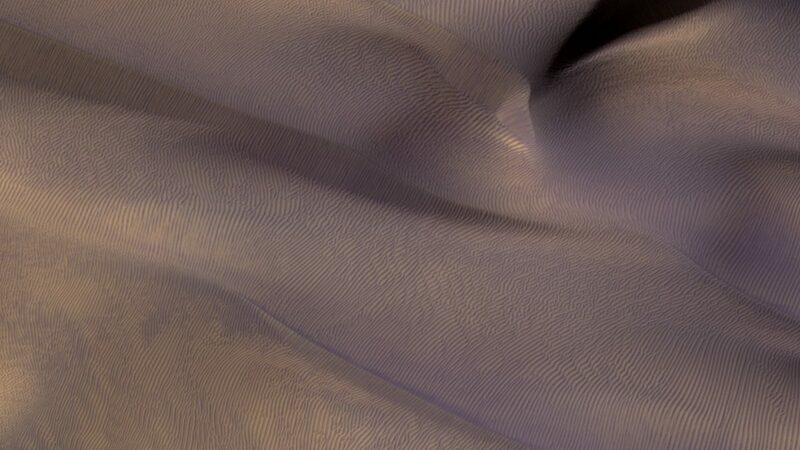 These two winds probably blow at different seasons, each acting in part to construct the dunes and ripples. 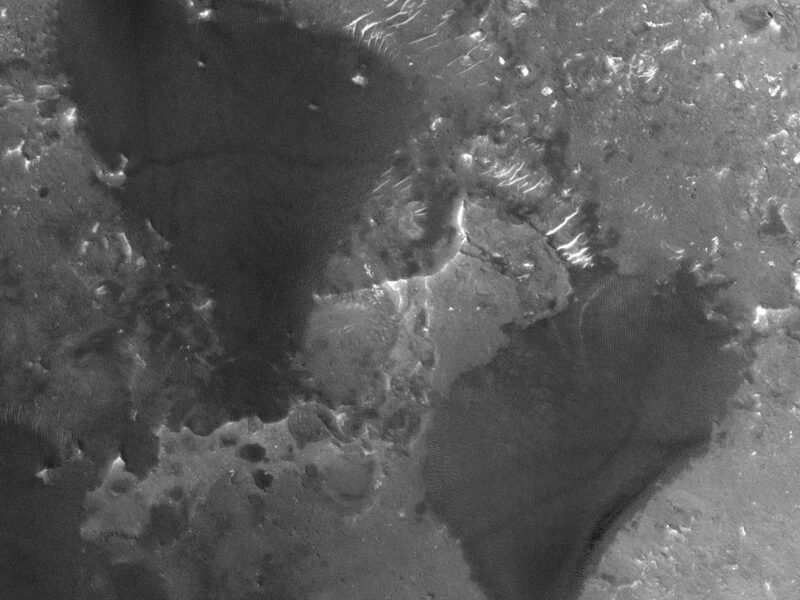 It’s why some of the slip faces are looking toward the lower left. 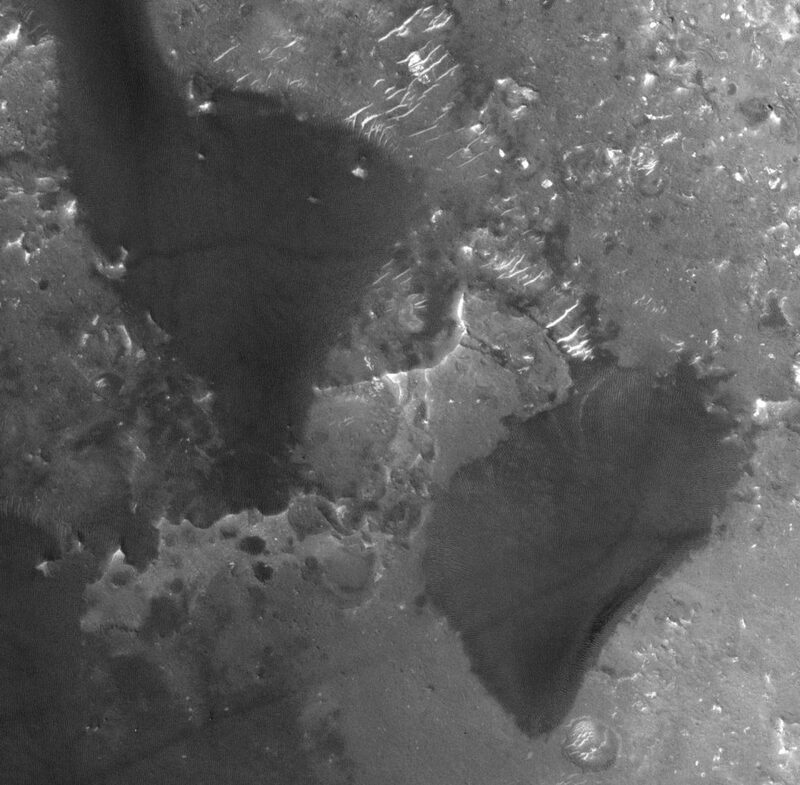 The second wind is also why most of the slip faces are covered in ripples. If only one wind direction made these dunes, then the slip faces would be covered only in avalanches. But here, most of them are covered by long-crested ripples, and in fact, ripples are only missing on the slopes facing directly to the left (can you find them?). This tells us that the most recent wind to move significant amounts of sand here blew from the wind coming from the right (east), rather than the wind coming from from the top of the view (north). These ripples formed from the easterly wind, erasing all slip face avalanches that must have at some point formed from the wind blowing from the top of the view. In another season, winds from the north might rework the sand to make new avalanches on south-facing slip faces. Who else wants to see time-lapse images of this?